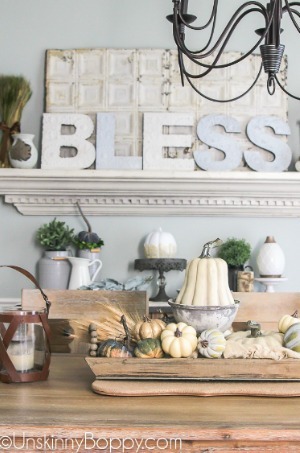 Do you ever dread decorating for a new season because you feel like you can’t think of any new ideas? Maybe you just skip the seasonal decorating all together for that very reason. Well, I want to let you in on a little design method I use with each new season and every event I plan. 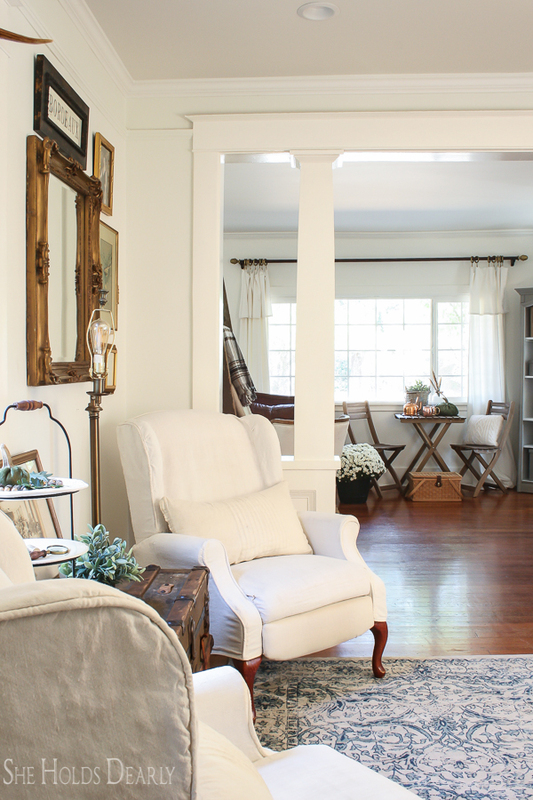 the Love to BHome in Fall Home Tours and have just come from Love of Home. Scroll to the bottom for the rest of the home tours! 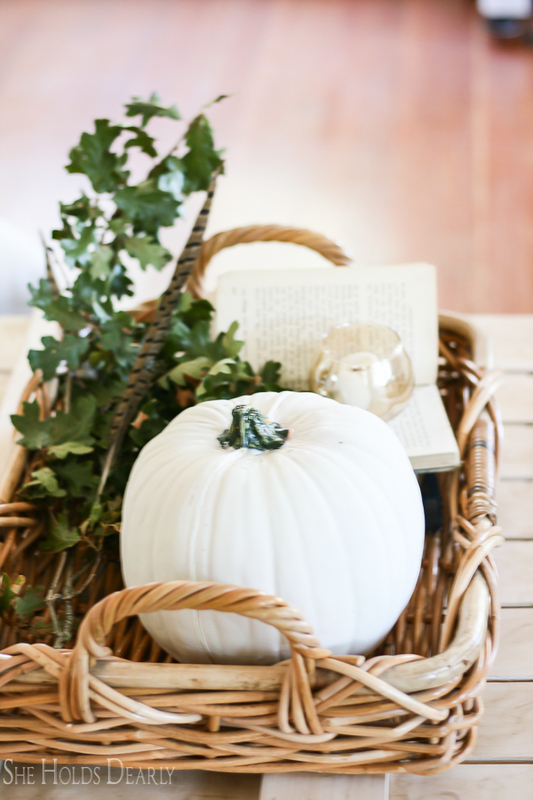 Oh, AND don’t forget to enter the giveaway for velvet pumpkins! Ok, so the VERY FIRST step in all design is the brainstorming. You cannot skip this part. You must brain storm. I usually spend a couple of days on this and just jot down the ideas as they come to me. I think about what goes along with fall. I think about the weather, about the traditional events, about the foods and changes in nature. You see, not too hard. Then, from that list, I started listing specific household items that coincide with the above ideas. 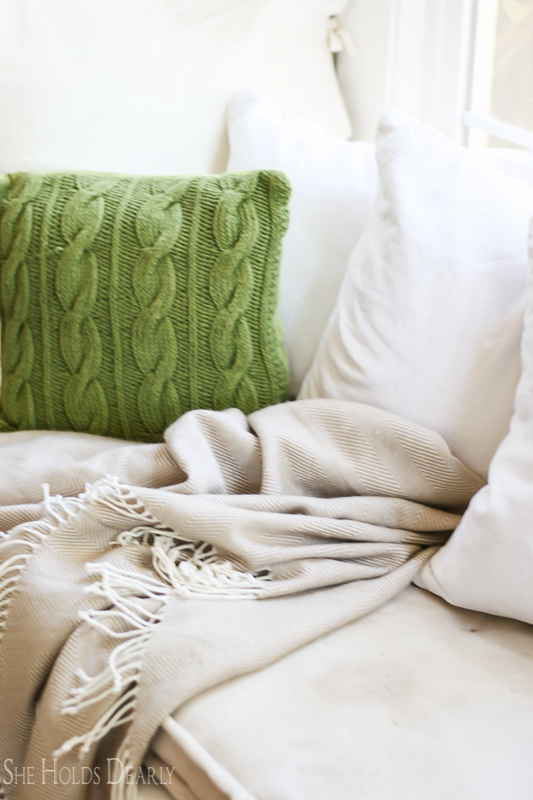 I show how to make a sweater pillow in my Simple Sweater Pillow Tutorial. 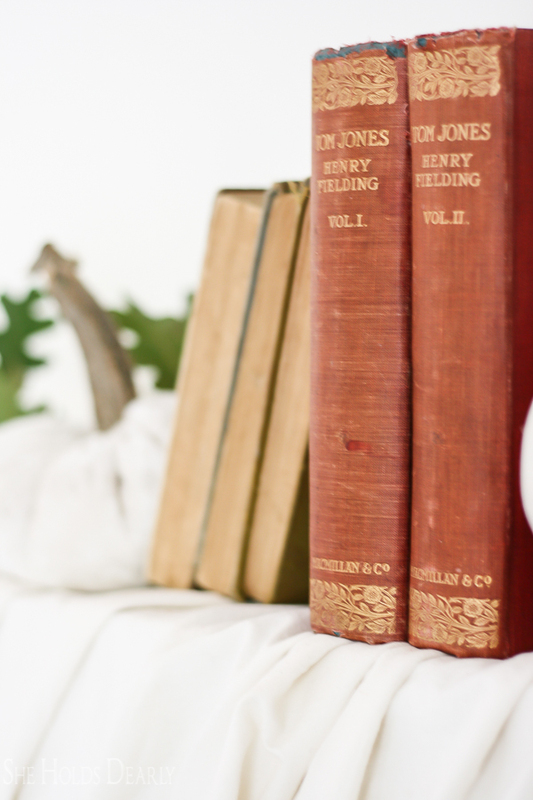 You can learn about my pumpkins in How to Make Velvet Pumpkins. 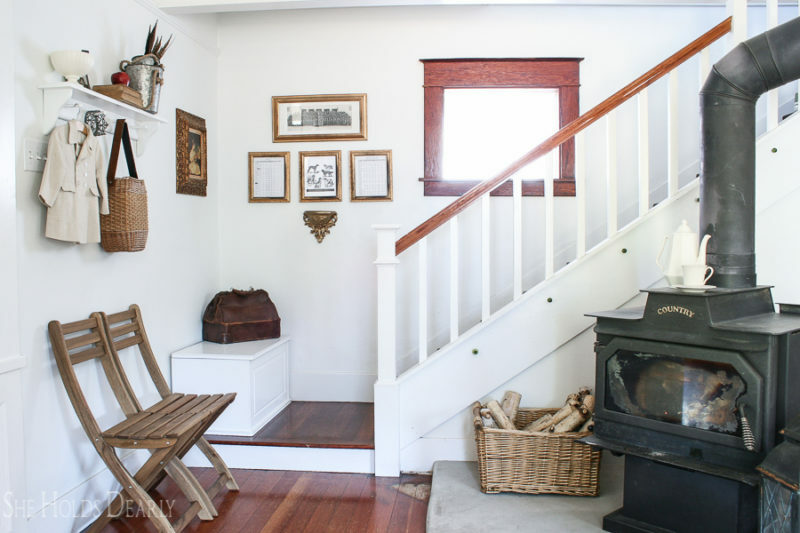 I had almost the things on my list, so I started collecting and arranging key spots around the house- the front porch, coffee table, piano, wood stove, etc. 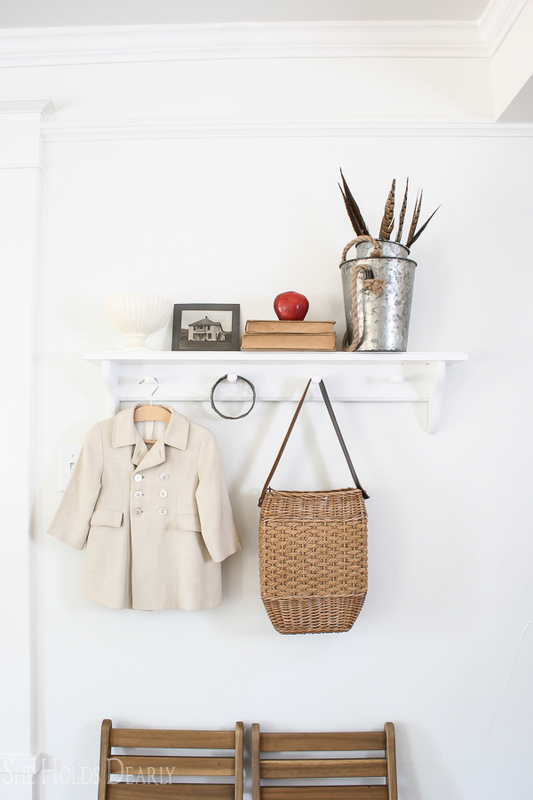 See if you can spot the items from my list! 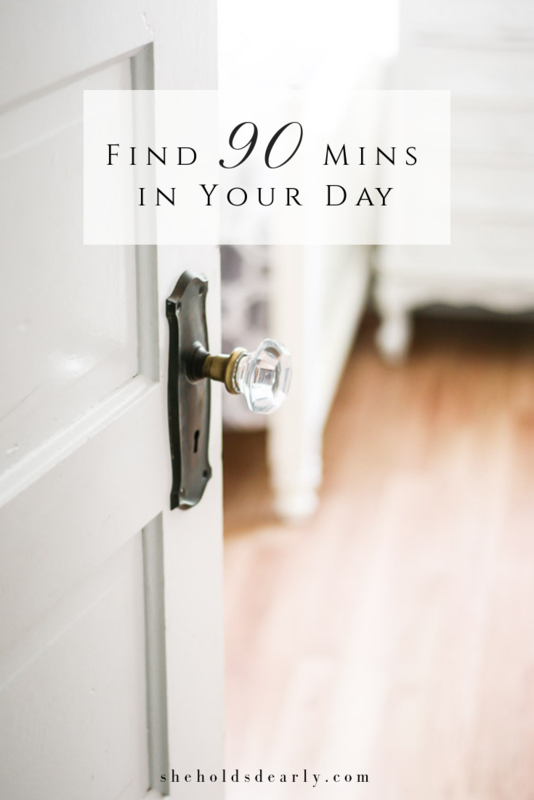 This brainstorming trick works for all design projects, in my experience- parties, room makeovers, seasonal decor, invites, you name it. Try writing out a list like this and see what you already have on hand! 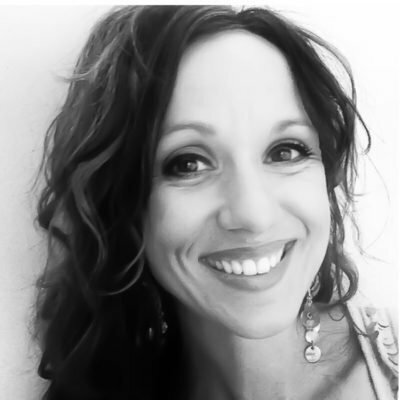 Your next stop on the tour is my sweet friend, Beth, from Unskinny Boppy. Some of my best inspiration has come from Beth! And Monday’s line up is included, as well. Be sure to check back for the Wednesday and Thursday schedules. 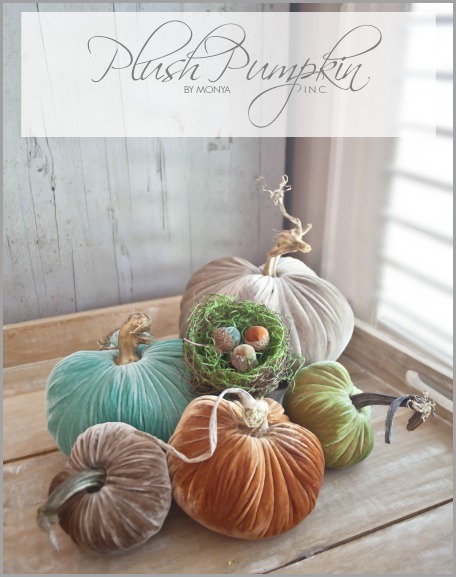 Enter to win this beautiful deluxe collection of velvet pumpkins from PlushPumpkin. These pumpkins are hand made with silk velvet for a luxurious accent to your home. To enter please visit PlushPumpkin and/or pin the image above and let us know in the comments that you did. We trust you and good luck! The winner will be chosen by random and notified by email on Sept. 22. 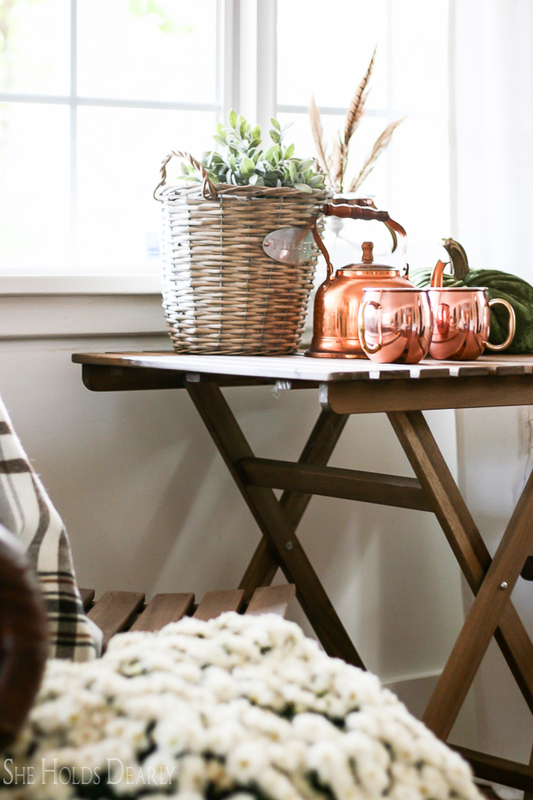 Sarah, beautiful home ready for fall and great tips for coming up with decor ideas for the season. Hey Kim, thanks so much for stopping by and for your kind words. They mean so much coming from someone as talented as you! Thank you for the chance to win. They have really beautiful items! Sarah your home is just so warm and welcoming! 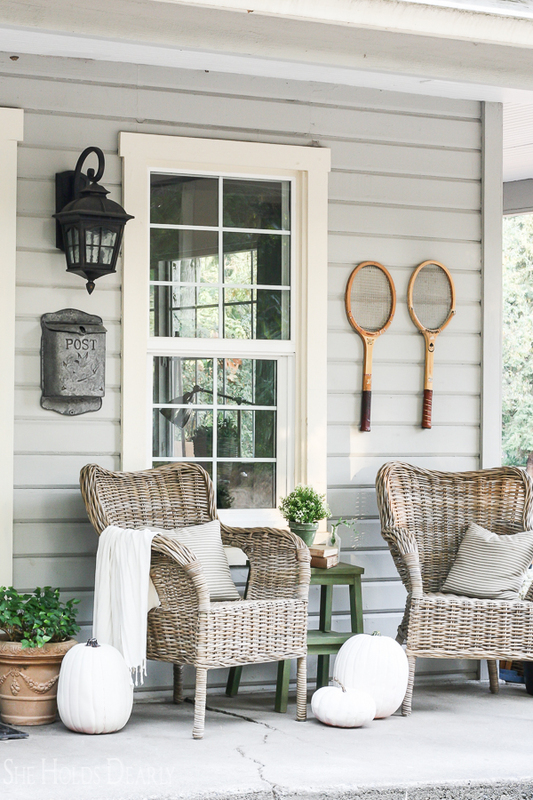 You had me at the front porch! Beautiful!! Awww, what a sweet thing to say! That is what I want my home to be viewed as. Ok, I visited and pinned in hopes of winning the gorgeous Plush Pumpkins. Thank you for the opportunity. Sarah, your home is just beautiful, so welcoming – I would love to join you there, beginning with your front porch. What a lovely spot to sit and drink that first cup of coffee of the day, or a cup of tea in the afternoon. And then, inside, I love the natural colors, with white and greens. They whisper of fall without being loud, perfect. You create spaces that bring people calm and peace, which is a gift to everyone who comes to your beautiful home. It’s a blessing to be on this tour with you. Sarah, it’s all so beautiful- I love your more neutral Fall with greens and browns and white pumpkins- that’s my favorite combo! Wishing you a wonderful week!! So many gorgeous spaces. I will be so sad if you go what seems to be the way of so many bloggers….and start replacing your lovely furnishings with more modern items. I adore your home and your style. Will there be a tutorial on the oak cutting hanging wreath? Loved it. And always love plush pumpkins. But that’s not why I’m commenting….I just love the wreath, and that you hung a painting on the porch! Your decor is beautiful, Sarah! I love your train of thought and how you pull everything together to create such a welcoming home. 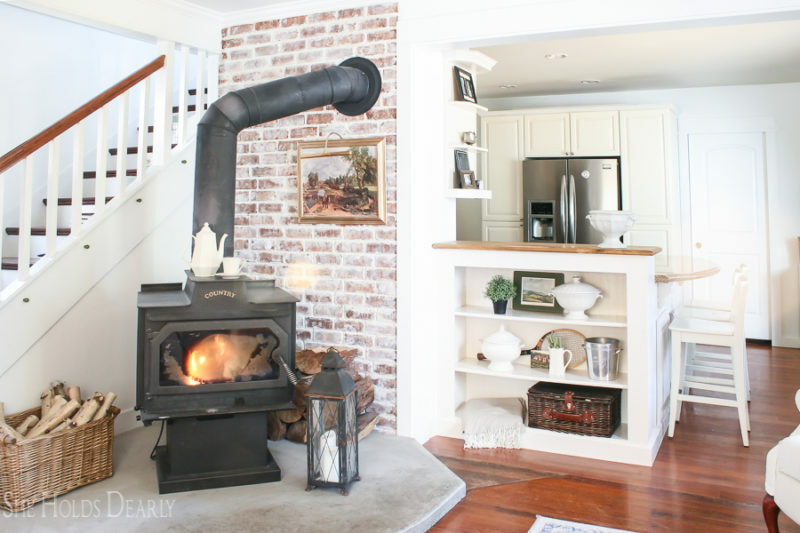 Your home is always so beautiful in every season and every day for that matter….I love the “brainstorming” idea! Beautiful details in every space that says a happy family lives here!! So much charm and loveliness to take in!! 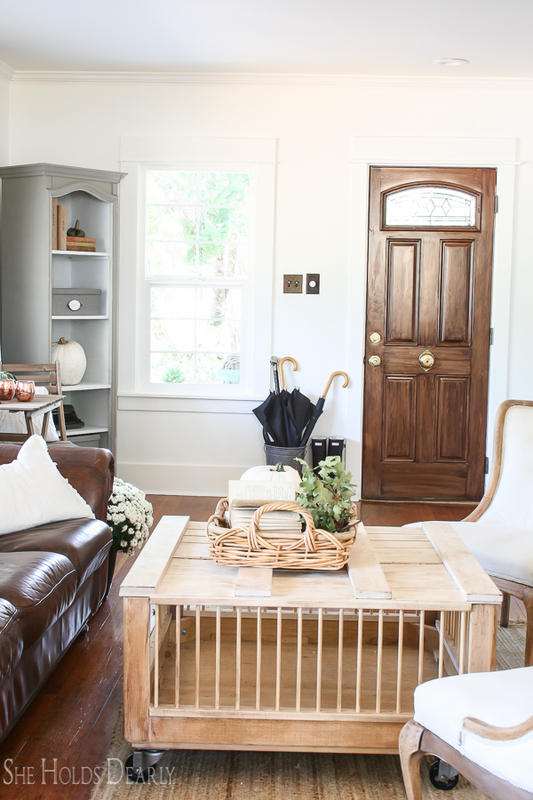 Thank you so much Sarah for opening your beautiful home to us on the tour – and for sharing those great tips for brainstorming ideas for decor!! It’s a joy being on the tour with you!! Visited, pinned, and WOW. So warm and inviting. Makes me want to snuggle in with a hot cup of tea! This really inspired me to get in gear and put out my fall decor. I needed the push! 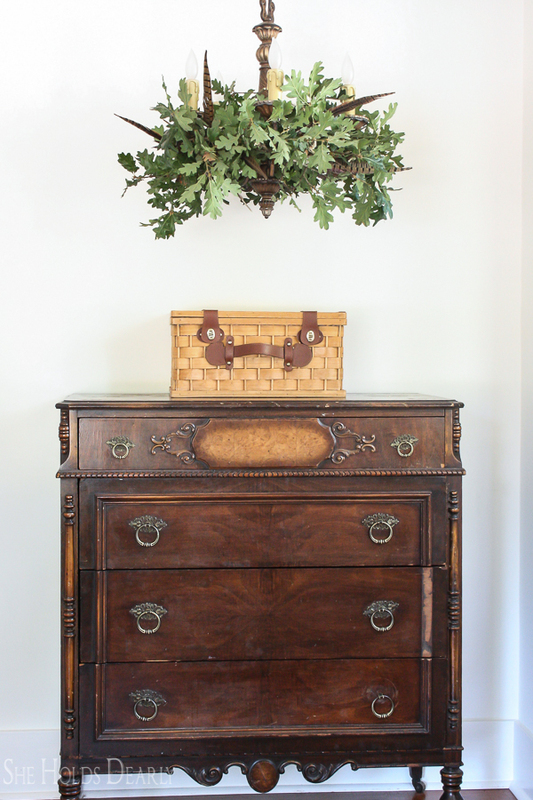 I especially love the oak leaves and want to see how I can display some lovely branches since I don’t have a chandelier. Everything, I mean everything looks gorgeous. I did pin those lovely velvet pumpkins so we’ll see! I also love the little velvet bottoms on the acorns. Those little golden acorns are awesome! I need. 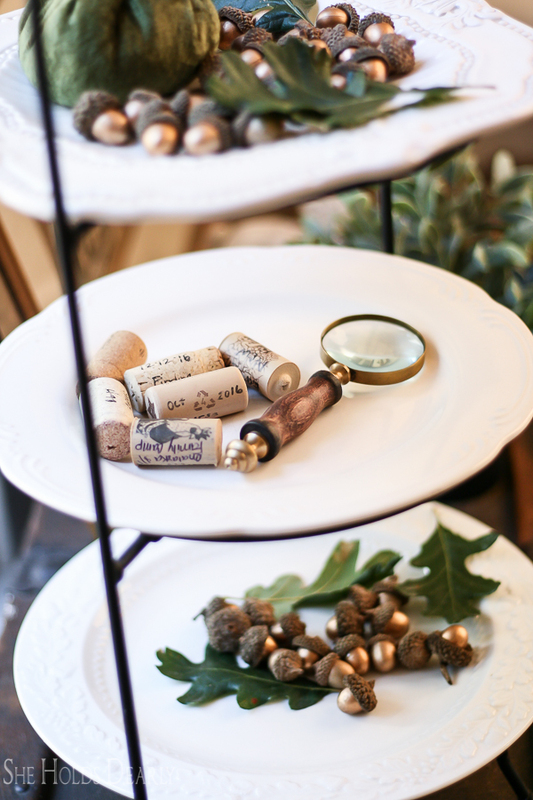 You had some wonderful points about decorating that could be applied to any season – lists…as you think of it! Thank you for sharing. I’m so happy that I subscribed to your newsletter. I love decorating my home, especially for the holidays. You have some great ideas. Thank you for a chance to win the velvet pumpkins. I pinned it to my “holiday” board on Pinterest! That’s so great! Holiday decorating is so much fun, I agree. 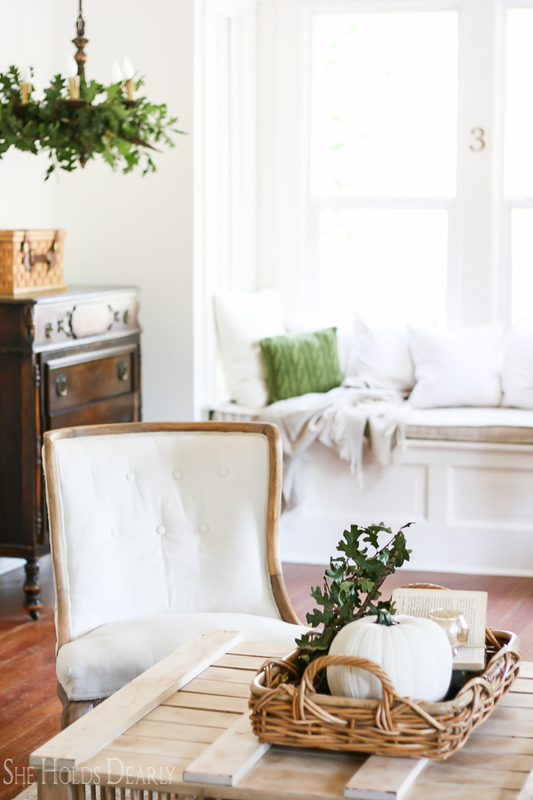 Love your brainstorming idea…that’s my goal for Fall decorating this year. Only use what I have around my home and outdoors! Thank you for the pumpkin giveaway opportunity! Yes, of course! Thanks for stopping by. Loving these pumpkins I pinned and browsed their site. LOVE! Awe, so glad you like them! Thank you, Lorna, you’re so sweet! I recently bought some plush pumpkins for a friend and am totally in love with them! I definitely need some for myself too! 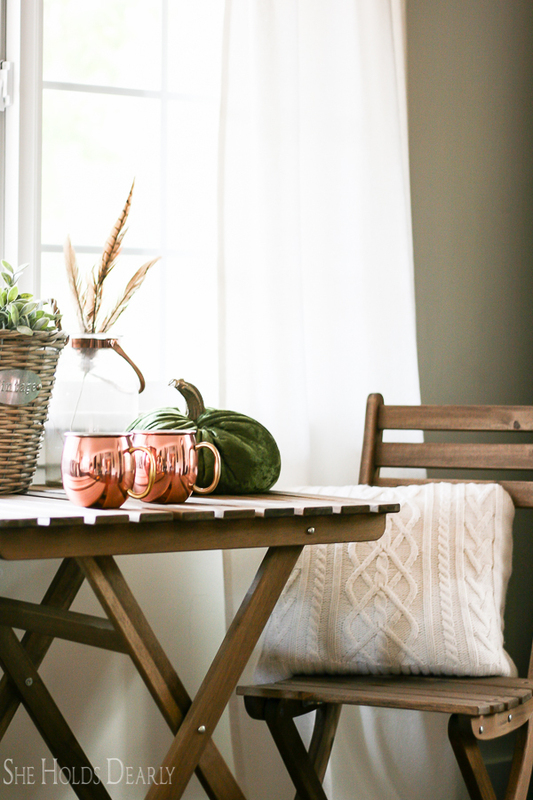 I pinned them in Fall Decor! Thank you for sharing your beautiful style! Oh, this makes me happy, you’re so nice! Love your ideas!! Pinned the beautiful pumpkins! I visited! Gorgeous, Lovely, Awesome!!! 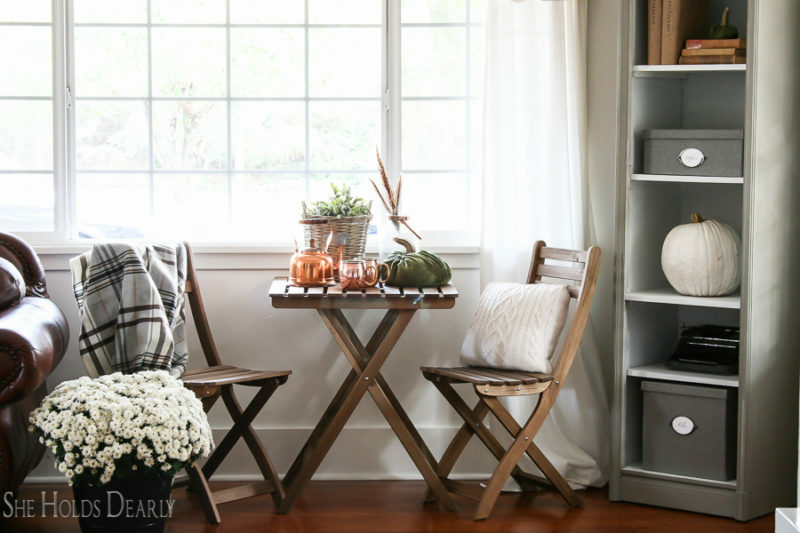 Everyone in blog land is showcasing their take on fall decorating. Yours is by far my very favorite. 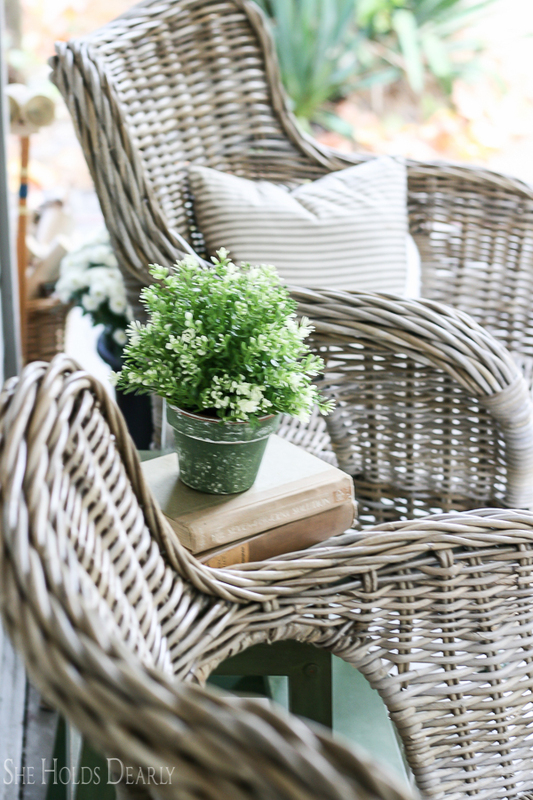 Your rooms are soothingly beautiful with serene touches of green – simple and inviting. Happy Fall! Sandy, thank you, this made my day! definitely putting that ‘brainstorm’ idea to use! Thanks for the suggestion. And I did pin the pumpkin image…thanks for the opportunity to win some of those beauties! So glad it helped, and thanks for stopping by! Absolutely love what you guys have done to your home. 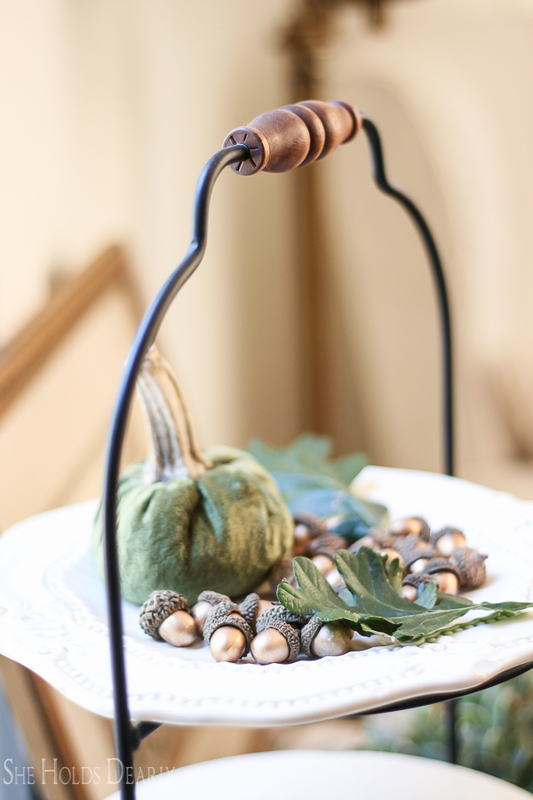 It’s not quite Fall tempts here in Texas, but have already started the Fall decor and can’t wait to see the outcome. These cute Lil pumpkins would sure add a nice touch. Have a great day!! Awe, thanks, hope your day goes well, too! 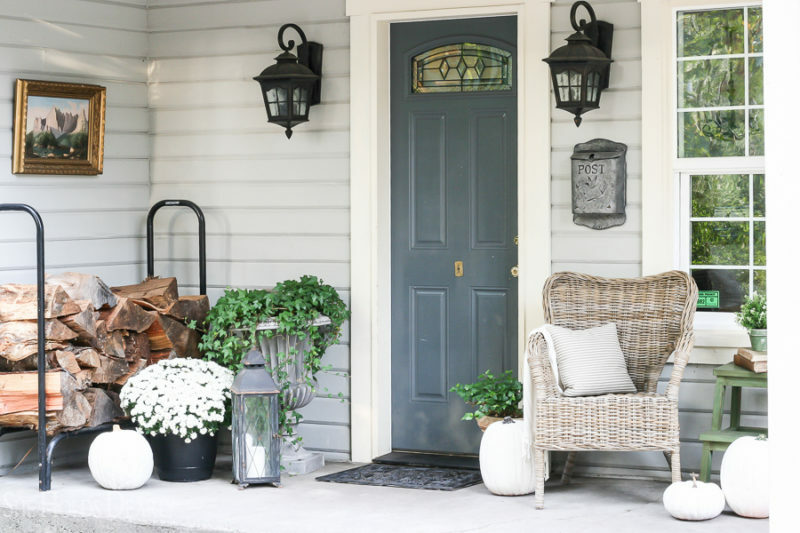 Your Fall home tour is just beautiful! 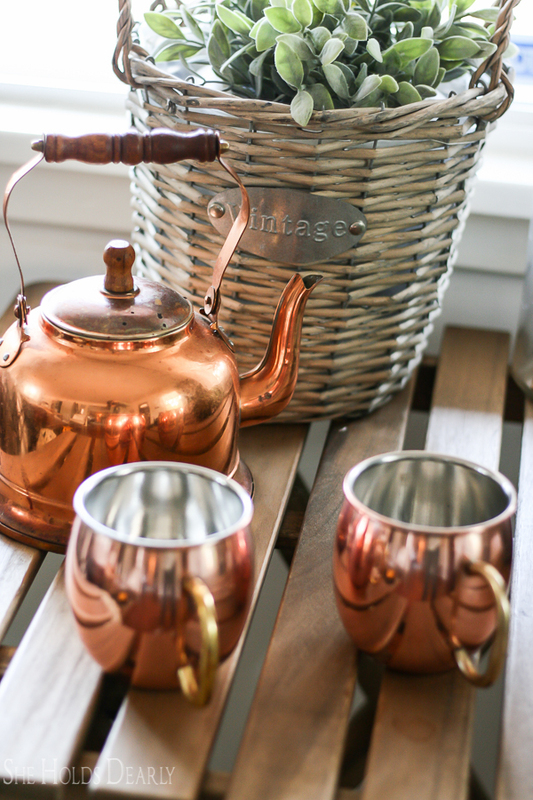 I love the cooper teapot and mugs used in your decor! 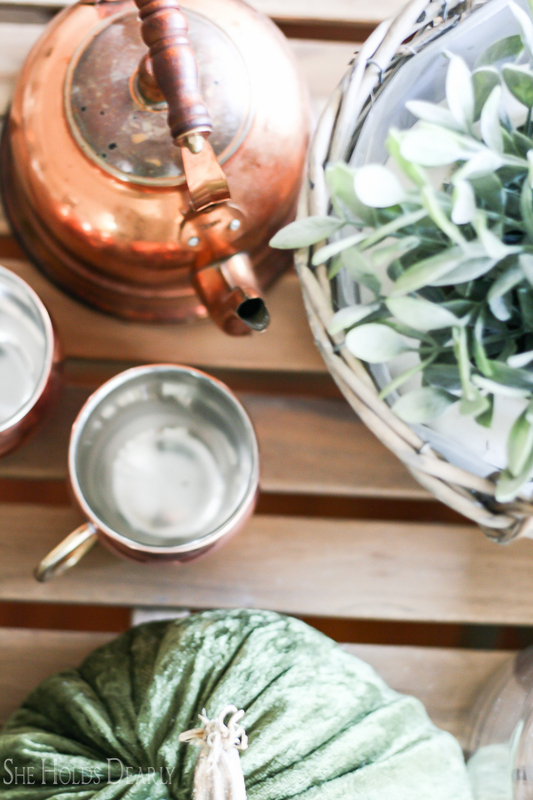 I’ve been picking up cooper items at thrift stores, flea markets, and garage sales this past year and will be using them in my fall decorating as well! 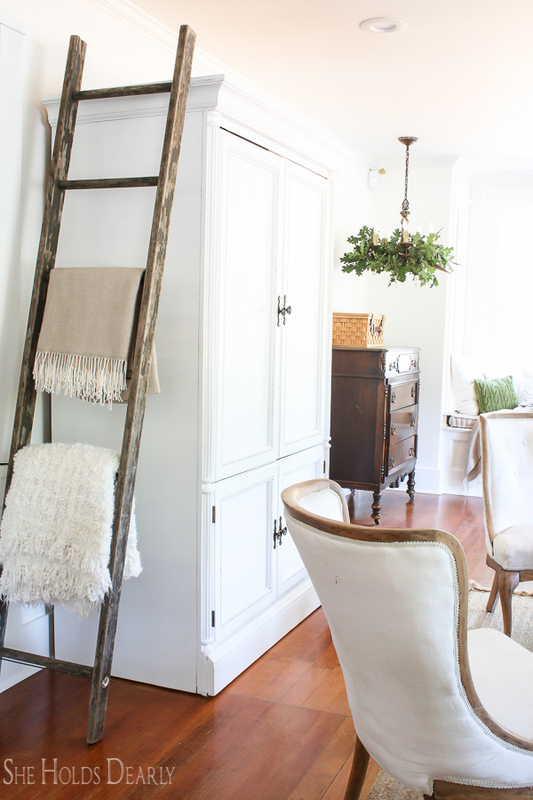 Thank you for sharing your “brainstorming tip” for decorating, it is brilliant! I visited the Plush Pumpkin website and pinned too! 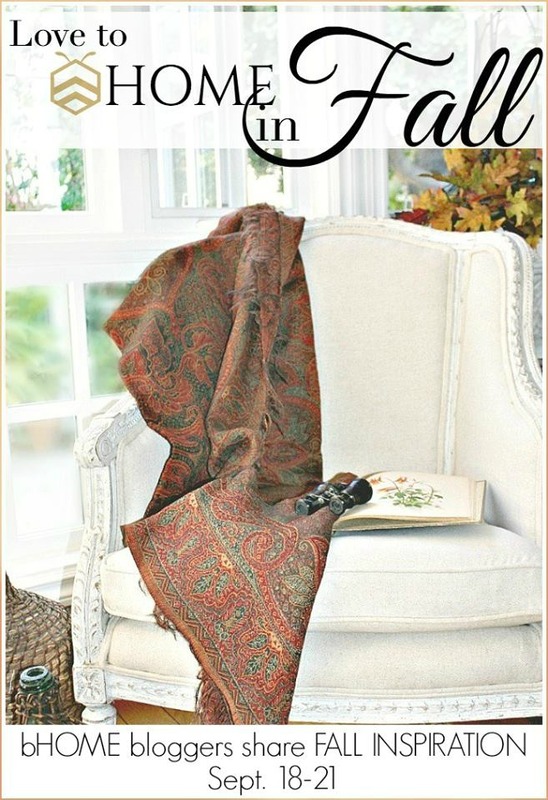 Thank you for so many good ideas for Fall! I like lists and I really liked your list for implementing ideas. Also, thanks for the velvet pumpkin giveaway from Plush Pumpkins! I pinned it to my Fall/Thanksgiving Decorating board. I collect pumpkins and have many beautiful ones. These would make a gorgeous addition to my collection! Velvet anything – but especially in the fall! ? These are now on my Autumn Style board. And thanks for all the great pics and tips! ? Love the plush pumpkins website! Visited and browsed! 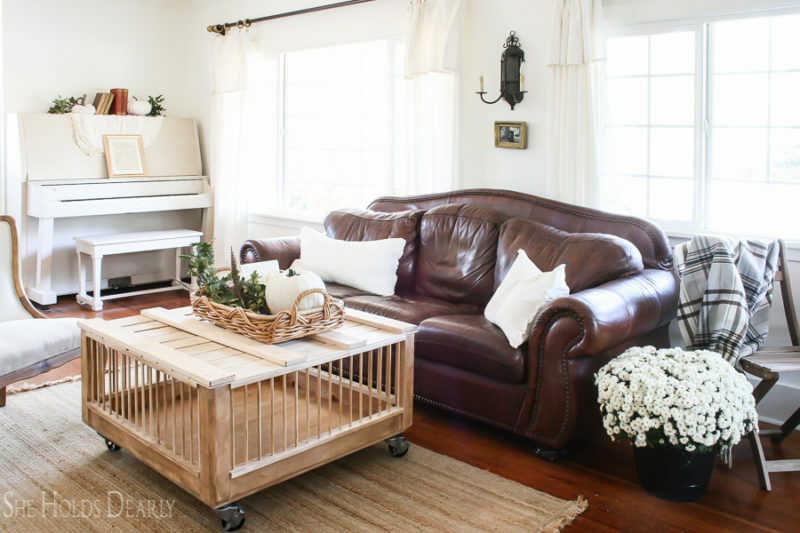 Absolutely lovely and welcoming spaces that help us step into the season. Your creativity and use of simple pieces definitely prove that less is more. 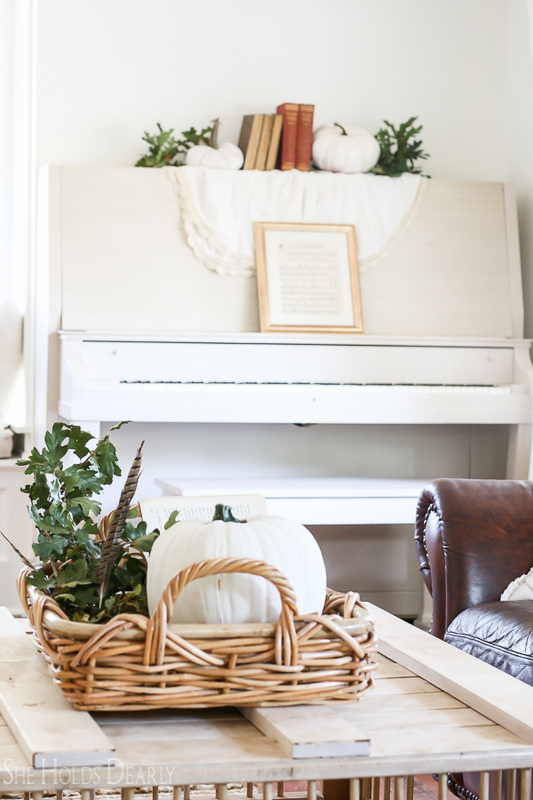 Often farmstyle decorating involves clutter but your display of simplicity is the ultimate sophistication and the velvet pumpkins are the exclamation point! Plush Pumpkins site visited. Lovely. Oh, Trish, you’re so sweet! Your home is beautiful. Thank you so much for sharing your trick and offering such a lovely giveaway. I pinned the image on Pinterest. Thanks for the pin and all the kind words, you’re the best! I love your use of the little wool coat! Glad to help and thanks for the pin! I’m gald you liked it, thank you for stopping by! Love your site! I visit often sigh and would love to win the pumpkins! Thank you! I hope you win them! Very warm and cozy. It looks so welcoming. You’re always so encouraging, thank you! Sarah, You pinned a BEE poster/hanging on Sept 21. Please tell me WHERE to find this poster/hanging? Your home is beautiful and inviting! Love your ideas! Thank you for the plush pumkin opportunity…I have always loved these! Thanks for stoping by, glad you enjoyed it! Simply stunning as always! My mind is spinning with ideas. Thanks for sharing and inspiring! I visited! Thank you fir the chance to win those sweet velvet pumpkins. Your home is stunning! Everything looks so pretty! I do a bit of brainstorming prior to each seasonal change, too. 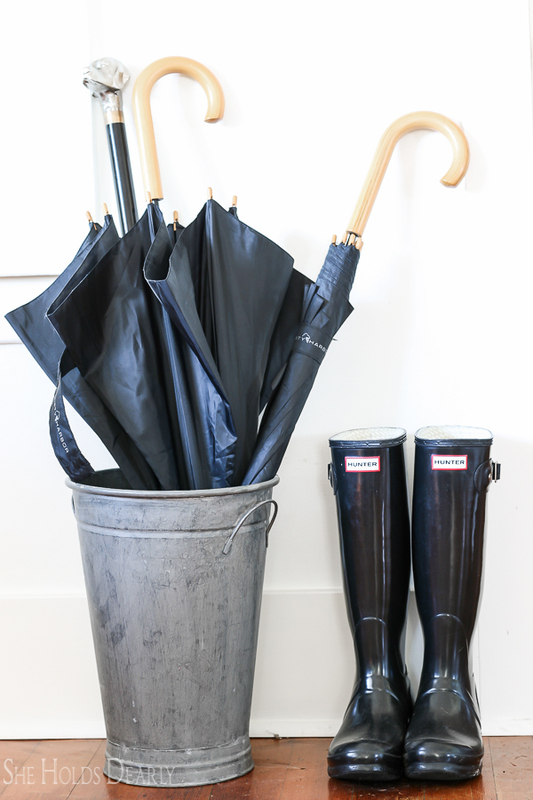 I had to chuckle though at the mention of rain, rain boots and cold weather….living in the AZ desert, there is no need for rain gear of any kind (well, maybe an umbrella for when we travel out-of-state)! 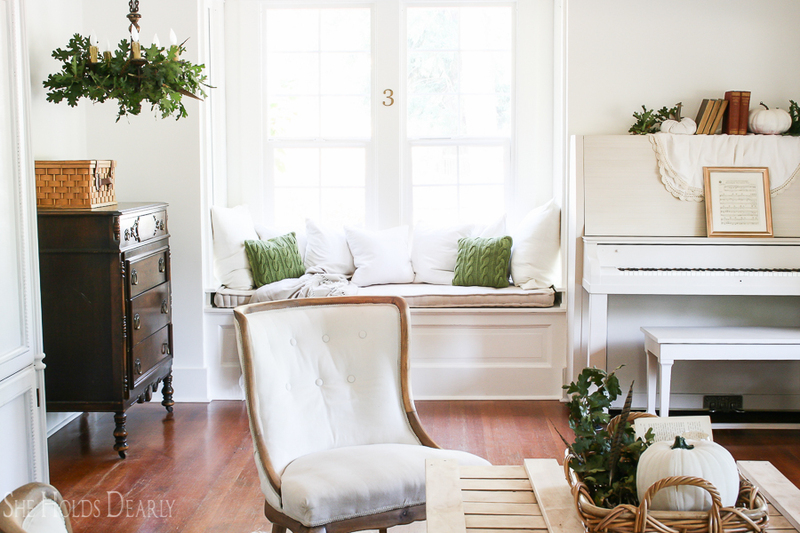 LOVE your use of white and green rather than typical fall colours. Pinned the Plush Pumpkin pic. thanks for the opportunity. Would absolutely love this! I can tell we are kindred spirits! The green and white always speak to me, too. Your home is beautiful! Great ideas! 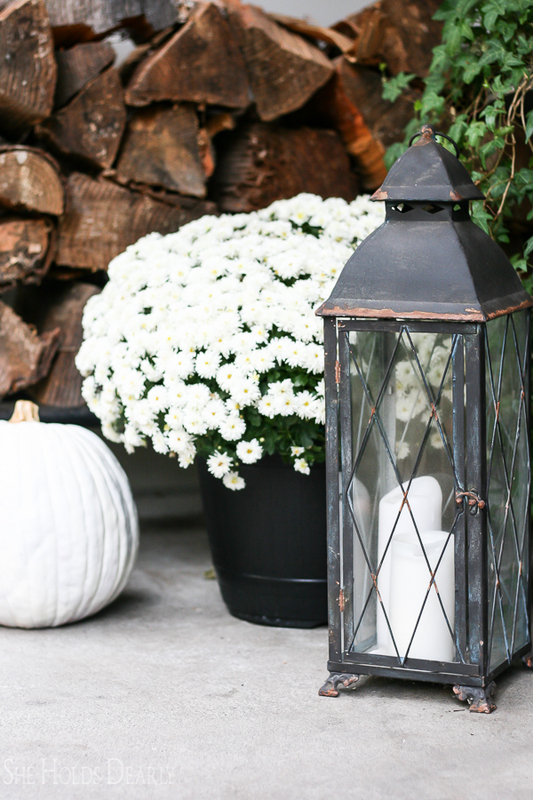 Love the pumpkins…pinning and visiting the site!